Application is invited for lab manager position in the group of Dr. Jungnam Cho at Shanghai Institute of Plant Physiology and Ecology (SIPPE), Chinese Academy of Sciences (CAS). Cho lab is jointly affiliated with UK-based John Innes Centre (JIC) under the collaborative program, Centre of Excellence for Plant and Microbial Science (CAS-JIC CEPAMS). Our research focus is on understanding plant genome plasticity and mobile genetic elements aiming for crop improvement. We are seeking for a lab manager to help set up the lab that will start in August, 2018. The successful candidate will be expected to perform lab managing role (50%) and also research (50%). - Ph.D. degree in plant molecular biology, genetics, biochemistry or any other related field. 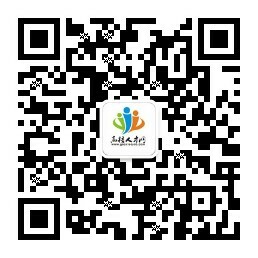 - Good English and Chinese language communication skill. - Strong self-motivation, teamwork and excellent organization. Please send a CV and contact details for at least two referees to jungnam.cho@slcu.cam.ac.uk. For further information, please contact directly with Dr. Jungnam Cho (jungnam.cho@slcu.cam.ac.uk). The position is available from August, 2018.